Join us for a free matinee for adults and teens. 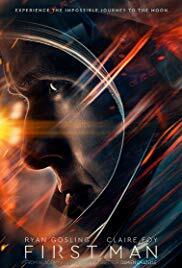 We will be watching First Man starring Ryan Gosling, Claire Foy, and Jason Clarke. Rated PG-13. Approximate running time 2 hours and 21 minutes.